Australian based cybersecurity company wanted to bring their anti-malware solution for financial institutions to the US Market. Oinkodomeo was brought on to provide marketing and sales support. Over time this expanded to analyst relations, PR, and event management. As we worked with the team, it became apparent that marketing needed to be able to update the website. At the time, expensive IT resources maintained the site. This created delays in updates since marketing requests would come behind product development. 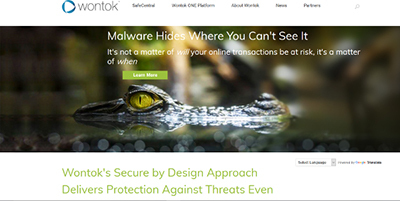 Ultimately, Oinkodomeo was able to satisfy the concerns over WordPress security. In phase one we replicated the .NET site exactly in an easy to update mobile responsive WordPress theme. 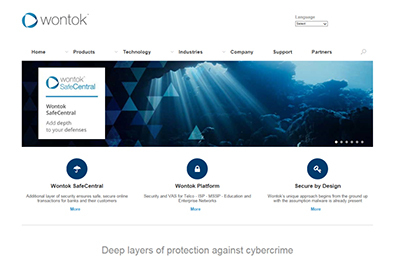 In phase two, we revamped the WordPress with an updated design to create differentiation from the large number of look alike cybersecurity websites.